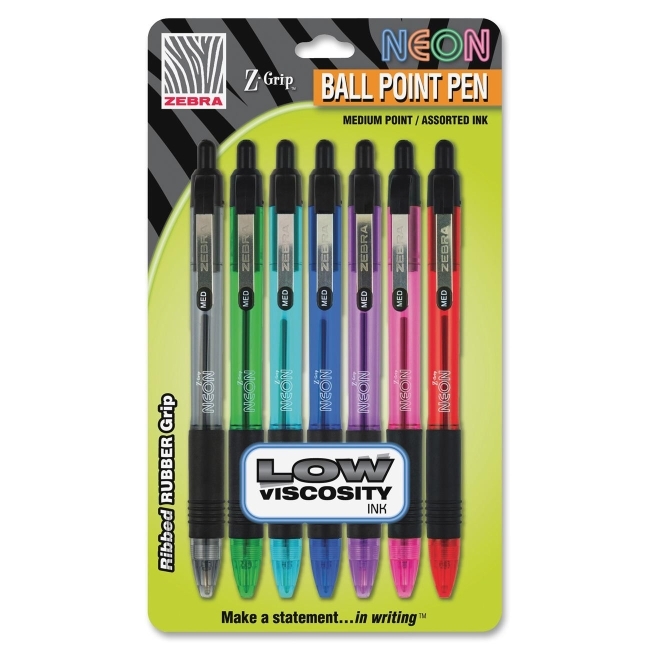 High-quality, retractable ballpoint pens deliver a low-viscosity ink formula and a stunning design with vibrant neon barrels. 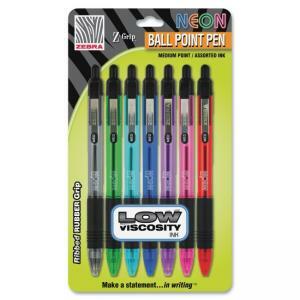 Ribbed rubber grip ensures writing control and comfort. Clear barrel allows ink supply visibility. Grip color corresponds to ink color. Z-Grip Neon Retractable Ballpoint Pens also feature a medium point size and the traditional Z-Grip metal clip for attaching pen to notebooks, pockets and more. Pens are nonrefillable.